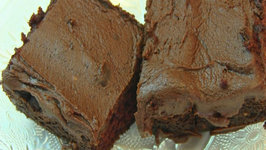 Rebecca's recipe is extra thick and light with the very richest of chocolate flavor. 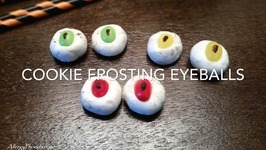 Whether you are looking for, icing, frosting, glaze, buttercream or milk based, and ..
Cookie Frosting Eyeballs are the perfect food craft for Halloween! With just a few simple ingredients, you and your kids can have a tasty and fun spooky treat. 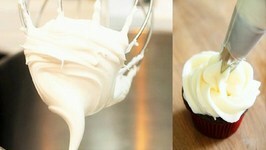 Want to make a perfect cream cheese frosting, look no more. This cream cheese frosting recipe is for cream cheese lovers only!!! 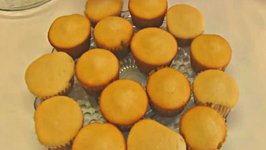 Its full of tangy cream cheese- buttery flavor, sweetened perfectly with powdered sugar and a ..
Betty demonstrates how to make Caramel Fudge Frosting. 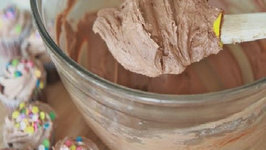 This is a great frosting for the Decadent Chocolate Fudge Cupcakes of the previous video in Bettys Kitchen. 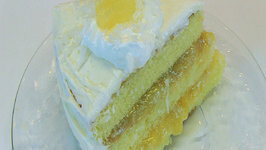 Make Vanilla, Orange or any flavored frosting for this holiday season. 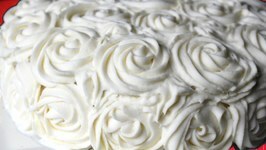 Here's a simple buttercream frosting recipe that is ideal for any kind of cake. Betty demonstrates how to make Caramel Frosting for a Blackberry Jam Cake. 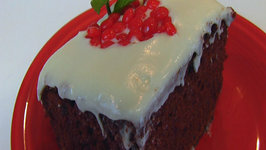 This cake and frosting comprise one of the desserts on the Christmas table this year. Betty demonstrates how to make Vanilla-Cream Cheese Frosting. 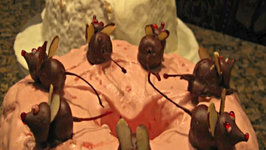 This glaze-type frosting is perfect for Rectangular Red Velvet Cake for Valentine's Day, the previous video ..
Betty demonstrates how to make Creamy Dark Chocolate Cake Frosting. 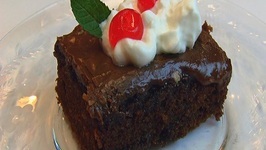 This frosting is perfect for a Dr. Pepper Chocolate Cake (the previous video in Betty's Kitchen). Betty demonstrates how to make Orange Cream Cheese Frosting. This frosting is made to go on the Orange Chocolate Cupcakes for Halloween. 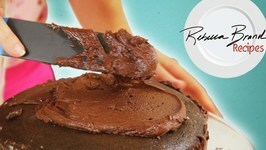 Betty demonstrates how to make Chocolate Frosting for Brownies. 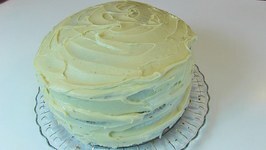 This frosting was made to spread on top of the Zucchini Brownies from the previous video in Betty's ..
People's favorite Buttercream Frosting or Icing recipe. 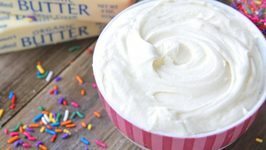 Buttercream is a mix of Butter, Sugar, Cream and Vanilla mixed together to form such a frosting that can be used ..
Angel Food Cake with Sherbet Frosting an old family favorite. Easy and delicious! Betty demonstrates how to make Shamrock Shortbread Cookies. These shortbread cookies are great for any time of the year, but are particularly inviting when shaped as .. 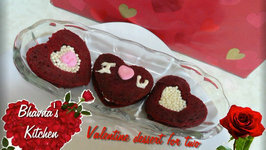 Looking for something quick, simple and easy dessert for this valentine? Look no further. Here is the perfect recipe that can be prepared just for two or more in just .. In this video, Betty demonstrates how to make Cream Cheese Frosting for Red Velvet Chocolate Chip Cookies from the previous video in bettyskitchen. 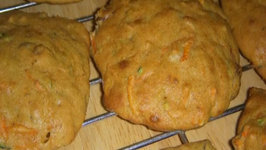 Try this healthy carrot cake cookie recipe that has zero no refined sugar! Just all natural stevia. 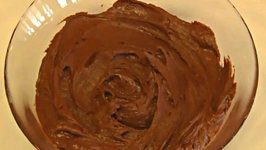 In this video, Betty demonstrates how to make Silky Smooth Chocolate Frosting. 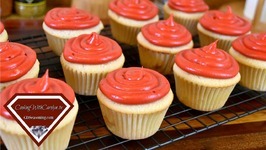 This frosting was created to accompany the previously uploaded Chocolate Chunk Cupcakes, .. 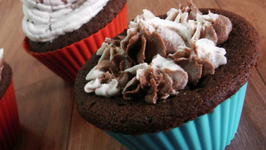 In this video, Betty demonstrates how to make "Buried Treasure" Chocolate Chunk Cupcakes. 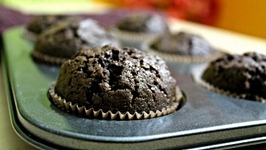 The "Buried Treasure" is the chocolate you find at the bottom, after eating the ..
Our very own brownies in mini muffin cups! Serve it as breakfast muffin, tea-time snack or as a delicious after meal dessert it just tastes perfect any way! 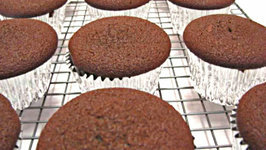 In this video, Betty demonstrates how to make Dark Chocolate Cupcakes. 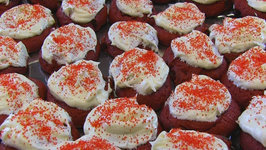 These may be served as is, but I will be creating a Valentine's Day topping for the cupcakes later. 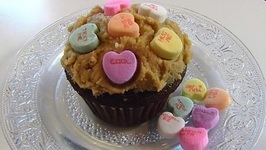 Betty's Dark Chocolate Cupcakes--for Valentine's Day!